The pattern was first published in Inside Crochet magazine, issue 101. Now it is available as a pdf file in US crochet terms. Price is for pattern only and NOT FOR THE FINISHED ITEM. Do you like knitted socks, but you hate working with 5 needles? 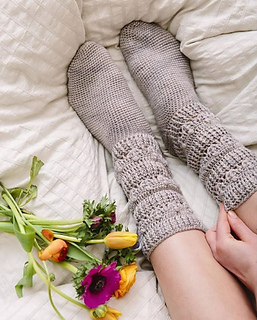 The good news are - you can crochet them! 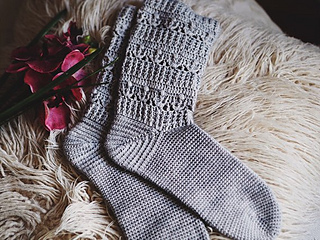 A pair of crocheted socks will be a wonderful gift for yourself and your loved ones! These will be perfect as boot socks too!